If you're tired of dealing with breakouts or dull skin on your back, decolletage or other areas of your body, you're not alone. 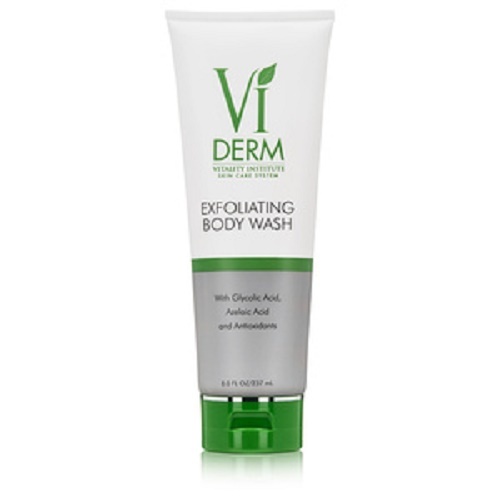 Many skin ailments may be just as stubborn in these areas as they are on your complexion. Water (Aqua), Glycolic Acid, Sodium C14-16 Olefin Sulfonate, Cocamidopropyl Betaine, Sodium Cocoamphoacetate, Cocamidopropyl Hydroxysultaine, DI-Steareth-100 IPDI, Sodium Hydroxide, Polysorbate 20, Propanediol, Propylene Glycol, Azelaic Acid, Retinyl Palmitate (Vitamin A), Tocopheryl Acetate (Vitamin E) Panthenol (Pro-Vitamin B5), Ascorbic Acid (Vitamin C), Biotin, Linoleic Acid, Linolenic Acid, Caprylyl Glycol, Phenoxyethanol, Ethylhexylglycerin, Fragrance. You�ll now receive special discounts and valuable information! Copyright 2005-2018 SkinCare Solutions Store All Rights Reserved. Attention corporate affiliates: We're not affiliated with or endorsed by the companies mentioned in these listings. All trademarks and copyrights are acknowledged, they are only used for informative description of the items offered for sale. All items are authentic as evidenced in photos, legally acquired and owned, and hence covered under First Sale Doctrine. Unlawful attempts to remove any of these listings will constitute perjury and result in legal action.